Going for concrete tiles in Miami roofing is highly recommended. It presents a lot of advantages for the home owner. This article will focus on the benefits of getting concrete roof tiles in this tropical city. The downsides of this choice will be discussed here as well. Hopefully, at the end of the article, this will help you decide if you should go for this option in your roofing. The product is very durable. Provided that the tiles were installed properly, they can stand heavy winds, rain and other elements that can easily wear or tear down other roofing options. Concrete tiles are ideal for people living in coastal areas as well because these are resistant to salt and moisture that usually corrode other types of roofing, especially those with metal composition. Also, these are normally flame-retardant. The clay or slate types will surely give you a bang for your buck. Concrete is a lot cheaper than most roofing tiles. Combine that with their guaranteed longer life than other alternatives plus low maintenance costs and you will have a money well-spent. These offer enhanced convenience within the home because of their capability to maintain temperatures at a cool and comfortable level. 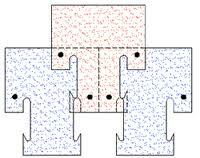 An added sarking under the tiles can help maintain their cooling effect better. The density of the tiles buffer sounds from the falling rain or vibrations produced by noisy vehicles like cars, trains, and even the aircraft flying over the home. Concrete tiles are typically made from natural ingredients. Thus, people with allergies to certain components of synthetic stuff need not to worry about these. Concrete tiles are heavy. You must ensure that the structure of your home can support it. On the other hand, there are now lightweight types of these products. Then again, the lighter ones are usually less resilient than their heavier counterparts. Although concrete tiles are resistant to water, the roof still requires a quality sealant that will fill the gaps in the installation of the material. This will prevent water from accumulating at the base of the roof. These are hard, but their colors can fade in the long run after long exposure from the sun, rainwater, and other natural elements. Is there water dripping through your roof when it rains? Are there discolored spots on your ceiling that have no reason to be there? Can you see spots of daylight snaking through the rafters when you are in the attic of your home? Then chances are your roof needs some serious repair work, and the sooner the better. When your home is in need of roofing work this is a task that should not be attempted by anyone other than a professional roofer. Even a small patch job could create additional damages to your roof if an unqualified individual sets out to do the repairs. There is too little room for error and a greater chance of encountering a problem when you are working on the roof of a home. Even if you use a shingle calculator to help you estimate costs there a number of factors that are involved that you could be overlooking and this could mean that your estimate could be far off the mark. Find the American Roof Repair Shingle Calculator here. Qualified roofers understand what needs to be done and they know the steps that need to be followed. Professional roofers will have the tools and equipment to get the job done and they can even buy the roofing materials at a substantial discount. These are specialists who can tell you why those cheap roofing shingles may not be the best purchase. An experienced roofer can tell you the differences between pinnacle shingles, 3 tab shingles and other designs, and they can explain these differences in terms that a layman can easily understand. Roofers also provide you with efficiency, speed and “builder discounts” that save you time and money; and your roof will be constructed (or repaired) so that it meets all of the necessary building codes. Damages to the roof of your home are often covered by your homeowner’s insurance policy. This is especially true if these roofing issues can be linked directly to a storm or other events that are specifically written into your coverage terms. An experienced roofer can help you determine the causes of the problems and tell you your best options to resolve the issues. Typically a homeowner may not pay a great deal of attention to the roof until they notice a water leak during a strong storm. If you already have leaks in your ceiling then you may also have sustained some underlying structural damage. The only way to identify the problems with your roof is to have it inspected by a professional. These experts will look for holes in the roof, loose (or missing shingles), water damages, mold and other problems. After the inspection has been completed you will be given an estimate that shows exactly what issues are affecting your roof, how long it will take to repair the problems and how much money the roofing job will cost. You can figure out the area of your roof and determine some basic cost factors when you use a shingle calculator. Roof size is calculated according to square footage. This takes into consideration the width and length of your roof, but other details such as height and special construction features (dormers, gables) must also be figured into the equation. Professional roofers are trained to calculate such measurements very precisely. Shingles are arranged in bundles. Most bundles will cover approximately 30-35 square feet. When roofers discuss the covering on your home they will typically refer to “squares” and each “square” refers to a measurement of 100 sq. feet (roughly 10 feet x 10 feet). If you are using fiberglass or asphalt shingles then each of the bundles being purchased will cover 1/3 square and 3 bundles will be required for each “square” of your roof’s measurement. Some laminate, dimensional or architectural shingles may cover an even smaller square surface of a rooftop. If your home has an older roof that included t lock shingles you should know that these types of shingles are not even manufactured today. There are only a small amount of these T-lock shingles that can be found and even then, these shingles are generally only recommended for a small repair job. It may be best to consider replacing these shingles with one of the newer designs that are on the market. Professional roofers recognize t lock shingles as soon as they see them. Roofing paper (roofing felt) or tar paper is going to be installed over the exposed wooden roof. Then the shingles will be placed along the roof in precise order. The orderly arrangement of shingles will provide strength and protection against heavy winds and also help prevent water leaks from occurring. 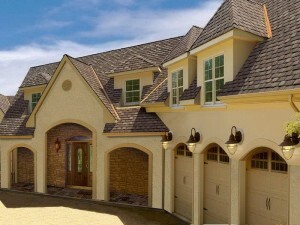 A quality grade of roofing felt is necessary for best results. Roofers can tell you if 15# or 30# paper is best for your roofing needs. Expect to chalk up 15-20% of the underlying roofing felt to waste. With a shingle calculator you can at least compute a rough estimate of the amount of materials that will be needed. This can help when you are talking with a roofer about the work that your home requires. Don’t leave your home to face the ravages of extreme weather without first consulting a roofing professional. An annual roof inspection can keep those small issues from becoming major problems. Cheap Shingles Made to Last! First impressions are important and as with most things in life, it’s the little things that matter. Having your home outfitted with shingles is one inexpensive way to ensure quality while adding an aesthetic appeal. Today’s modern market has opened up an entirely new variety of shingle options, many of which include cheap shingles to fit any budget. If you suddenly find yourself in the middle of a roof leak it could be time to call on your professional roofer. Small overhead leaks are common problems often due to minor issues such as small holes in the flashing or a torn shingle. If you have a leak, it is best to call your roofer while the problem is small as water damage can spread quickly, even if it’s only from a tiny area. On the other hand, if your home suffered shingle damage from a bad storm or you have a leak wicking along the walls, it is definitely time to call in a professional! 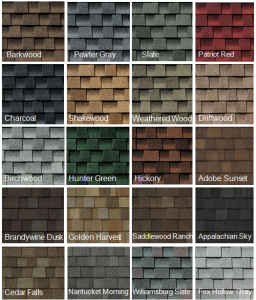 Cheap roofing shingles are made in a large assortment of styles and different configurations to meet the needs of homeowners and architects alike. When you’re looking to protect your home and accent its sturdy roof, adding discount shingles is a good choice. Adding shingles is the only way to ensure your building is fully protected, which is why it’s imperative to fix any problems as soon as they arise by calling a roofer. When you find yourself in need of a roof repair, working with your roofer to choose the shingles that best suit your needs will help not only to narrow down your choices, but also to ensure an accurate roofing estimate. In most cases, your shingle choices will range from natural materials such as cedar and slate, to tile, composition and T-lock shingles. Your roofer will explain that while cedar and slate are naturally insect resistant repellent, slate is durable and fire resistant and is also less likely to give way under heavy weight (think heavy snow falls). Both style of shingles, however, require careful attention to milling, cutting and installation but offer your home an elegant look when complete. Tile shingles are popular in many areas of the country, regardless of climate. Terracotta is the most common tile material, giving a house an instant Mediterranean feel. While architectural design is often a common reason people chose tile shingles, there are other advantages. The most desired advantage to using tile shingles is the terra cotta’s natural ability to act as a temperature regulator, keeping home cool in summer and warmer in winter. Composition shingles, which are made using asphalt and fiberglass, are extremely common and will likely be your best bet when looking for cheap shingles. Composition shingles are a very popular choice due to their inexpensiveness and durability, not to mention the fact they are fire and water resistant and come in a myriad of color choices that usually include black, gray, green, brown and blue. This makes them a natural choice for homeowners who want to match the color of the roof to an accent color of their home. If you’re looking for discount shingles, you are more likely to find them in composition style. Whether you’re building from scratch, require a quick fix roof repair or an all-out roof replacement, it is important to work with your roofer to decide which shingle choice is most appropriate for your home’s needs. If you have older shingles and are having difficulties getting homeowner’s insurance, it is important that you have the roof replaced with something that is more suited to you and your family. The cost of metal roof installation is often well worth it because these roofs are incredibly durable and are meant to last for years. 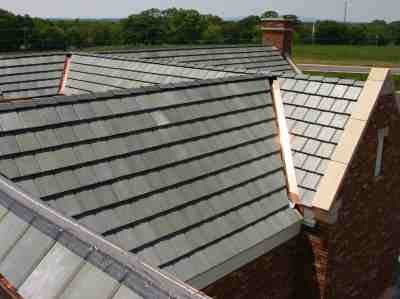 Plus, most insurance companies have no problems covering homes that have this type of roof in place. If you are thinking of going with a cheaper shingle or roof type, it is important to have the job done by the experts. While it is easy to see how you can save money by doing the work yourself, it can be dangerous to climb onto the roof to remove old shingles and replace them with brand-new. Only a licensed professional should be doing this job for you because this can guarantee that it will be done in the correct manner that will leave your home looking and functioning quite well. Having a new roof installed can be a bit pricey, so there are a few options available to you. Your first step is to use a roof cost calculator to determine how much the job is going to cost according to the specific type of roof that you are choosing. You can then decide if you need to go with something a bit cheaper or if you want to stick with what you have. While getting a new roof installed can be an expensive initial investment, it can also prevent future issues from happening that might concern a poor quality roof. Your next option available would be to have the roof you already own repaired. 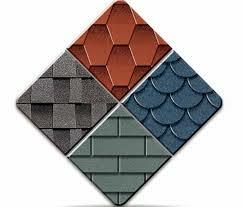 Let’s say that you want to stick with the shingles that you have, even though they are no longer in production. You can have the roof repaired well so that they function the way that you want for many more years to come. Repairing an existing roof will save you money and can get rid of the spots that cause leaks, drafts or other issues inside and outside of the home. By being able to have a quality roof on your home, you will find that the home looks better from the outside and functions better on the inside. 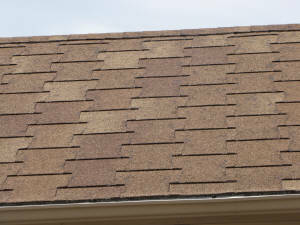 Older roofs, especially t lock shingles, can cause a myriad of issues that could cause major problems within the home. These shingles are no longer being manufactured because they have been known to do more harm than good in terms of a storm that comes through your town or city. The most important thing for you to do is to calculate the cost of either a brand new roof or a roof repair so that you can decide which option is the right one for you.